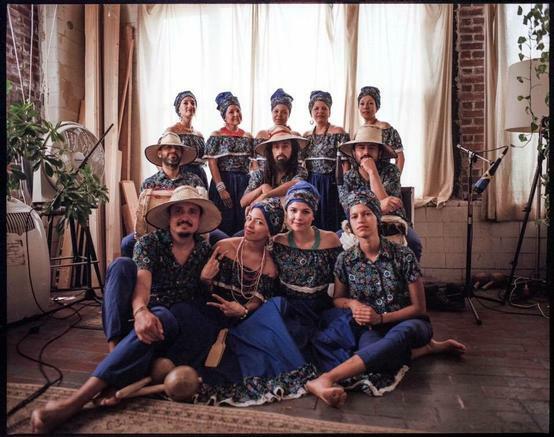 The Bronx River Art Center is pleased to present bullerengue group Bulla en el Barrio, as they perform their unique interpretation of traditional Afro-Colombian music and dance. The concerts complements the River Rising/Sube el Rio* Preview Exhibition + BRAC Open Studios, which starts at 5:00pm. Bulla en el Barrio is an effort to open a space in New York City to explore at a deeper level the bullerengue tradition born in Colombia in the Urabá and Caribbean region of the country. From its early days, bullerengue has been a tool for women to express themselves through music and dance; for this reason, women’s leadership and their power to engage communities into creative processes characterize bullerengue. This is why Bulla en el Barrio also aims to unite communities and encourage them to generate a spontaneous celebration of life through music, dance and the stories that these songs tell.